Happy 2019! Let’s make this a healthy year! – Dr. Neil Burden. London Ontario Chiropractor Chiropractic. Happy 2019! Let’s make this a healthy year! Building a strong health foundation in your life is one of the best things you can do for yourself. Once your health is in check, everything else falls into place. It’s easier to meet deadlines at work, have energy for your family, and to feel good in the mornings. When you suffer from poor posture, don’t get quality sleep, eat processed foods, and don’t get exercise, everything starts to fall apart. You end up feeling tired all of the time, your digestion is poor, and you end up with body pains. It’s important to build a strong foundation for your health so that you can enjoy your whole life rather than just bits and pieces. The first way to start improving your overall wellness is to start moving each day. Daily exercise will help you to normalize your blood pressure, improve your mental health, and improve your muscles and bones. It’ll help you to have more energy and it even helps to slow down the aging process. It’s easy to get moving every day if you just make a point to do it. Whether you like to take a bike ride, jump on the trampoline with your kids, dance while you get ready for work, or take a walk with your spouse, it’s easy to get moving every day. 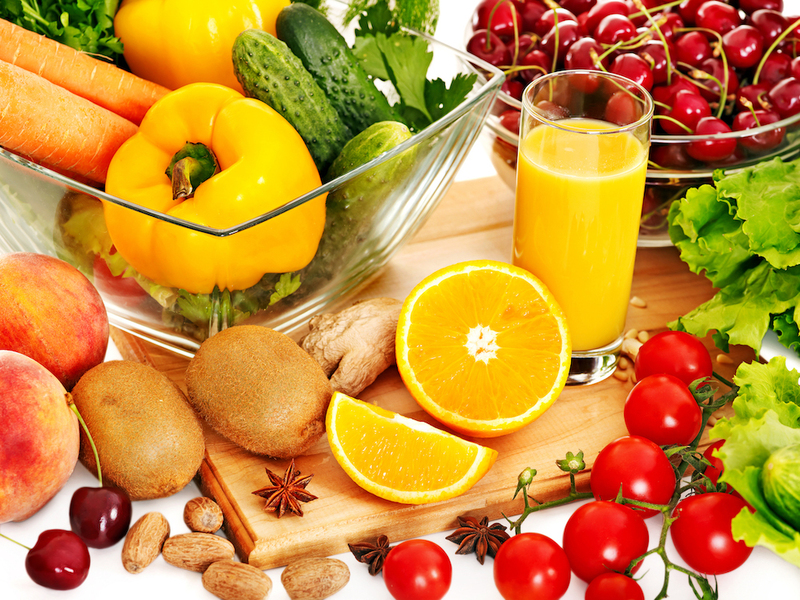 A healthy diet is a great way to boost your health, and vegetables should be the most important thing you are consuming. Greens in your diet will help you to feel better, heal, and prevent future illness. Try a smoothie in the morning with greens like spinach or kale and add your favorite fruits to get a healthy dose of vegetables each day. You’ll love the nutrients you are getting and you’ll be receiving anti-inflammatory properties, a boost to your immune system, and vegetables that fight disease. How is your sleep at night? Believe it or not, sleep may the most important thing you do for your health. Since sleep is the time for your body to heal and rejuvenate, you need to get plenty of it. When you aren’t sleeping enough, you end up with a lack of focus at work, higher stress levels, blood sugar imbalances, and a greater chance for obesity. Make sure your room is dark, comfortable, and that electronics are turned off during sleep. Are you taking time for yourself to relax, reflect, and do something you love? Make sure you have time for self-improvement in your week. This may mean just 30 minutes a day to read a book, take a bath, get a massage, or work on a favorite hobby. Make sure you are doing things that make you happy so that you are getting the self-care you need to stay healthy. Lastly, there is nothing better once you start improving your health than to work on wellness and prevention. Make sure you are getting regular Chiropractic adjustments. If life is feeling unbalanced, it’s probably time to get a strong foundation for your health. If you suffer from sciatica, you are one of around 3 million sufferers in North America each year with this condition in their spine and legs. The nerve pain actually originates in the spine and travels down the back of the leg, and if irritated will result in difficulty standing and sitting. While there are a few options for sciatica such as medications and surgery, many are seeking alternative options that are less intrusive. Chiropractic care, for instance, has an extensive library of studies showing it’s effectiveness in reducing sciatica pain. It’s important to first understand more about the sciatic nerve and how it gets impaired. It is actually the longest nerve in the body that is used to provide strength and feeling to the legs. It consists of a bundle of five nerves that begin in the lumbar spine, and then group together in the buttocks and travel down the back of each leg. 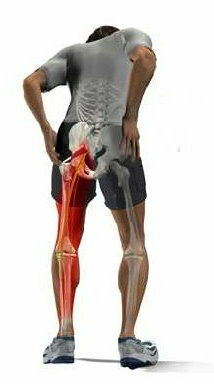 Sciatica refers to an issue or impairment with this long nerve resulting in pain or numbness. It often occurs when a disc is herniated, spinal joints become injured and inflamed, or from other issues causing pressure on the nerve. If you’ve never experienced sciatica before or think you may have it, there are some common symptoms you can look for such as pain, weakness, and numbness in the low back and into the legs. It’s a misunderstood condition because it’s often not the root cause of the irritation but a set of symptoms. A herniated disc is the most common cause behind sciatica, but it can also be caused by general wear and tear on the lower spine. Other conditions that can cause your sciatica include spinal stenosis (a narrowing of the spinal canal), piriformis syndrome (a spasm of the muscle in the buttocks), or spondylolisthesis, a slip of a vertebra that narrows the nerve exit. The question comes in with the treatment of such a problematic condition. You sit and stand every single day making this condition highly problematic. One of the problems is that the risk for sciatic nerve issues increase with age and the risk for herniated discs or bone spurs. Other health conditions can also contribute to the risk factor, such as diabetes, obesity, since excess weight can affect spinal changes, and sitting for long periods of time due to your occupation. The good news is that you don’t have to take on such an extreme treatment method such as surgery. You can choose a less-intrusive approach, such as chiropractic care and adjustments. Chiropractic care is a great choice for sciatica care because it can be used to adjust the spine to take pressure off of the nerve and make sure everything is in the proper place for optimal function. In fact, many times Chiropractic adjustments provide the same amount of relief that surgery does for sciatica patients. When it comes to your sciatica, you don’t have to resort to invasive procedures to relieve your pain. Talk to us about your pain level and getting proper adjustments to relieve this condition affecting your daily life. Why is your Achilles Causing You Pain? Are you suffering from pain in your Achilles? This could be because you engage in physical activities like sports or physical labor in your line of work that requires repetitive motion in the ankle. Repetitive motions could be endurance activities like running or biking in which you are overusing the Achilles tendon. Your Achilles tendon is found in the calf area (lower leg) made up of two muscles called the soleus and the gastrocnemius. It attaches all the way into the heel bone at the part called the calcaneal tubercle. This area has two major bursa sacs called the subcutaneous calcaneal bursa and the retrocalcaneal bursa that fill with fluid when they become inflamed. When you injure this area, the sacs fill with fluid and become an issue, especially if it’s the retrocalcaneal bursa that is affected. When you do a repetitive action, like running, in the region of the ankle, your Achilles tendon begins to rub against the bone, and can cause actually calcification in part of the tendon, effectively creating a new bone in the area. The new bone can then push the bursa in the area which causes some irritation and swelling while it fills with fluid. This new bone being created is often called the “pump bump” and can actually start to calcify even if the bursa begins to heal. This means you’ll potentially need surgery to remove the new bone unless you’re able to get other types of therapy to correct the issue. Additionally, you may end up with pain from the muscle tightening of the Achilles tendon. The pain is actually caused from abnormal loading because there is additional stress being placed on this area from the muscles being too tight. Going forward, you’ll want to work on steps to treat your Achilles issues and prevent them going forward. This means that you need to be wearing appropriate shoes during activities like walking and running, as well as correcting health issues like being overweight, diabetes, and gout. Once the Achilles tendon is injured, it takes a long time to heal, making prevention the most important tool at your disposal. For irritation to the area, make sure you refrain from exercise for a few weeks while you rest and apply 20 minutes of ice at a time. If you’ve started to feel a minor twinge or stiffness in the tendon connecting your heel and calf, it’s time to get help right away. The pain may dissipate as the tendon stretches but that does not mean it’s healed. It could eventually lead to burning or shooting pain. If you have flat feet, wear high heels, or forget to stretch before exercise, you could be at risk for this condition. Be sure to start stretching before exercise, wear proper support and see us to check and see if your pelvis is aligned properly.